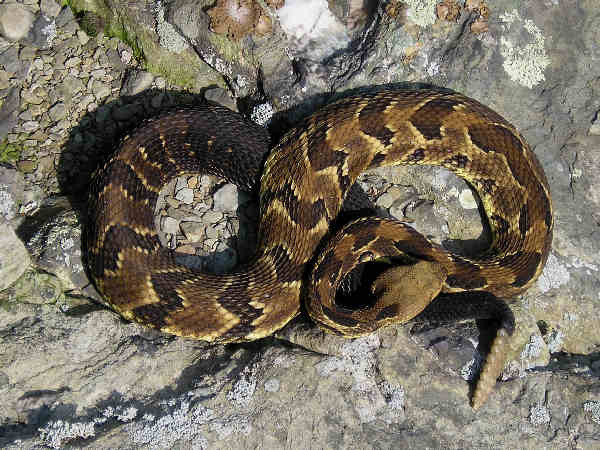 New Hampshire snakes number in the one dozen mirroring the New England reputation for less snake diversity. The cold climate makes for an inhospitable habitat for all but the hardiest of snakes. The snakes presented here share the characteristic of being relatively small snakes that can bury themselves beneath the frozen soil for the winter. 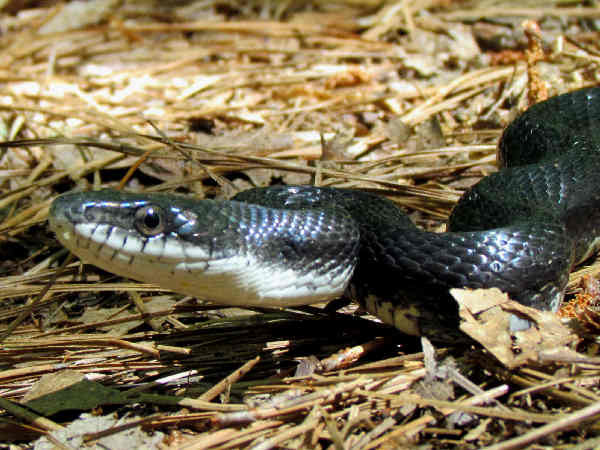 Five of the 11 species (i.e., timber rattlesnake, eastern hognose snake, northern black racer, smooth green snake, and ribbon snake) were identified as species in greatest need of conservation..
Only one venomous snake, the Timber Rattlesnake lives in New Hampshire. Despite the initial fears, it’s very rare and listed as a “Species of Greatest Conservation Need” in the state. Current populations are only registered in one eastern county and a handful of western counties. The remainder of New Hampshire snakes belong to a family of snakes whose names are easily recognized such as Garter Snakes. 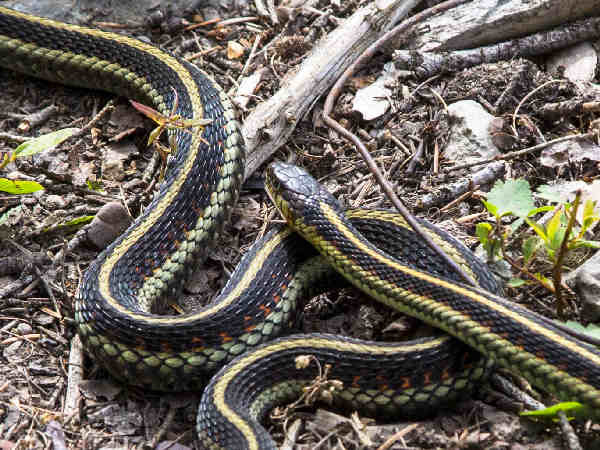 Common Garter Snakes are also the most common of New Hampshire snakes. They tend to be have more earthy colors, typically brown bodies and yellow stripes. 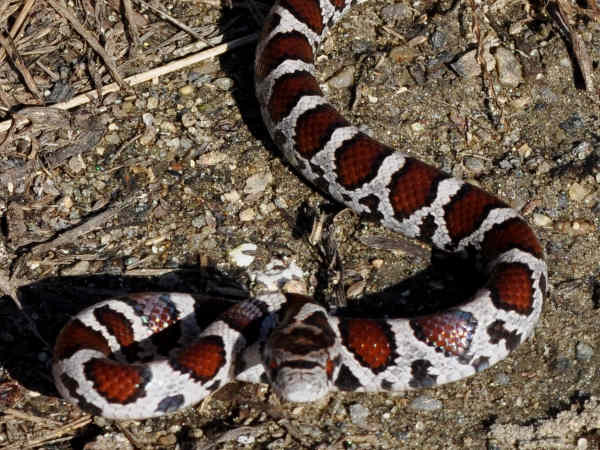 Eastern Milk Snakes (Lampropeltis triangulum) add a touch of color to the New Hampshire snakes portfolio. Milksnakes commonly get presented as adaptable snakes as residents who discover them in their yard can quickly understand. They do inhabit multiples areas from fields to forests to farms. All Hognose snake species are characterized as having thick bodies that can grow to four feet in length. Eastern Hognose snakes (Heterodon platirhinos) can assume a variety of colors and are the most wide ranging of species. 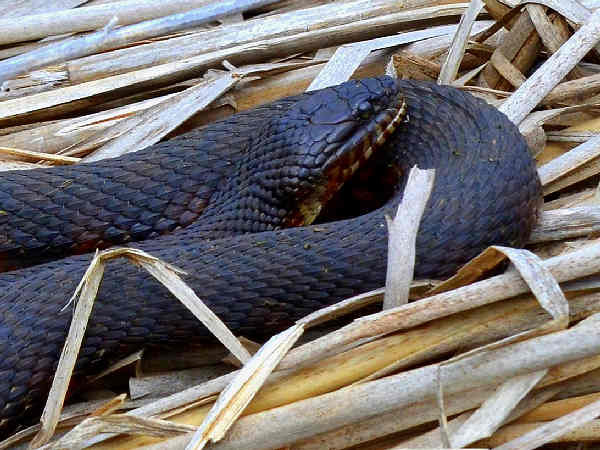 The Northern Watersnake (Nerodia sipedon) is the only species in the state. Specimens such as the one in the picture with a dark and bulky body, are farly easy to identify in their territory. 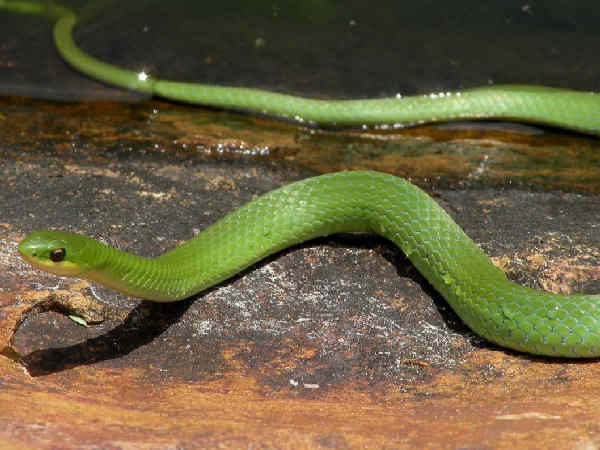 Smooth Greensnakes (Opheodrys vernalis) vernalis) also go by the name grass snakes because their grass green bodies provide great camouflage in their preferred habitat, green grass. They are insectivores who consume a good deal of grasshoppers and other troublesome insects that live in the grasslands of southern New Hampshire. 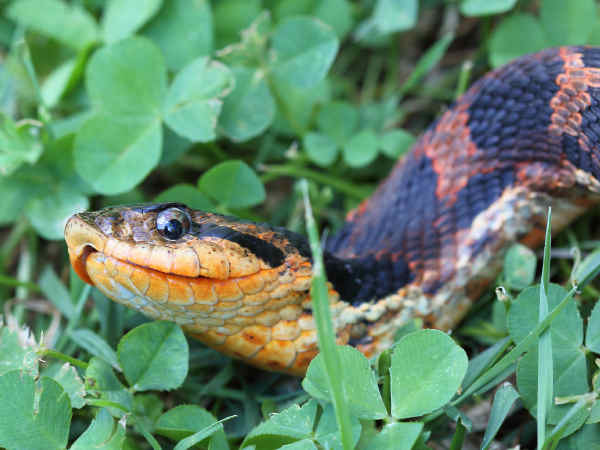 Encouraging these snakes into the yard as part of a natural pest control regimen is as easy as omitting the use of pesticides on the lawn. 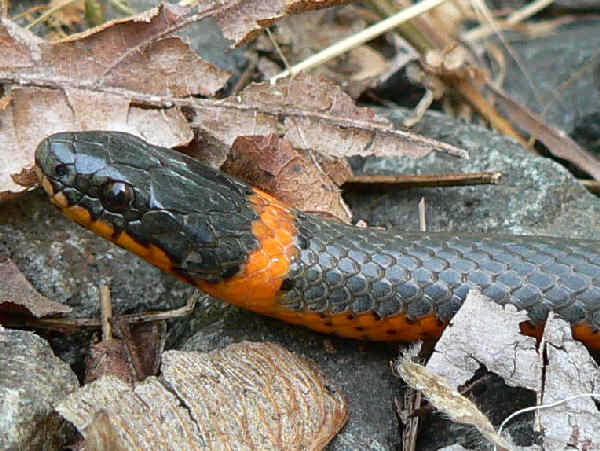 The Ring-necked Snake (Diadophis punctatus) found in most areas of New Hampshire. 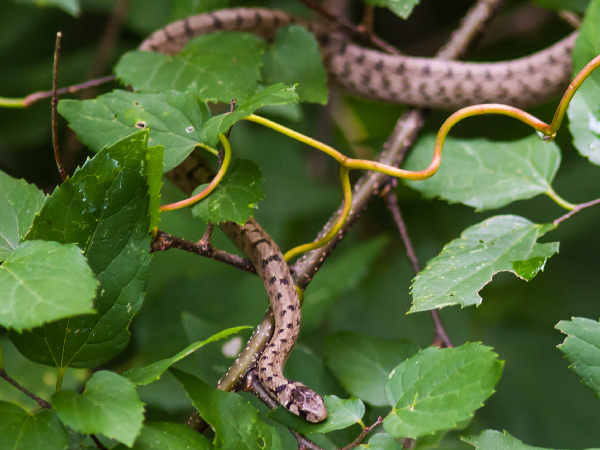 Brownsnakes are small and common across tee state. 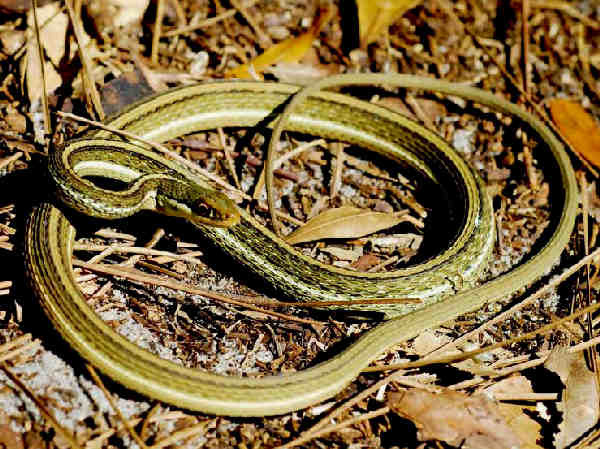 Red-bellied snakes live mostly in wooded areas. 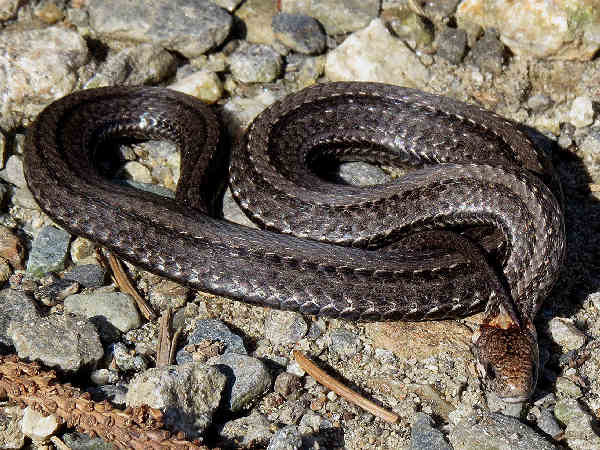 With the exception of the northern most tip of the state, Red-bellied snakes have been recorded in most New Hampshire counties.